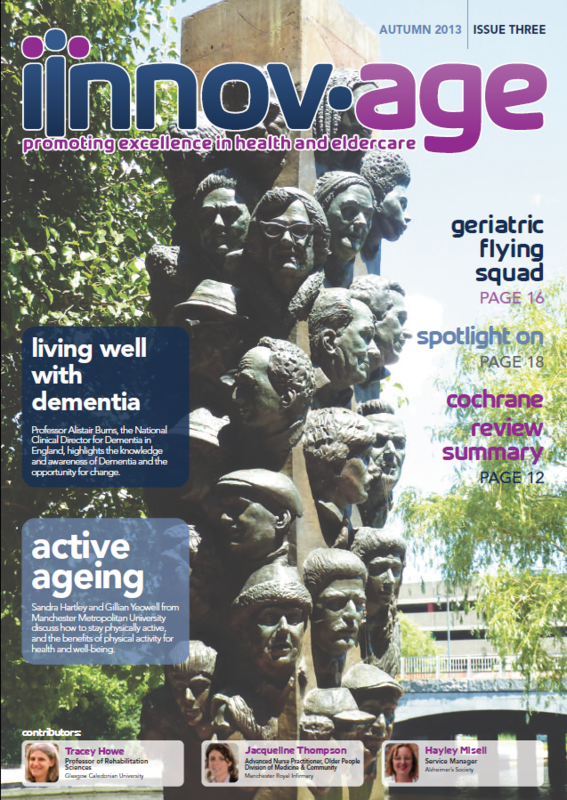 We are pleased to announce the release of issue 3 our autumn issue, focusing on Dementia. The Innov-age team are looking at the awareness and issues surrounding older people with Dementia. Alistair Burns, the National Clinical Director for Dementia in England, is helping us to understand the key Dementia research and how to live well with Dementia. Tracey Howe will again be sharing some of the excellent work being undertaken by the Cochrane Collaboration relating to Dementia, and Alex’s continuing experiences of caring for his elderly mum.